The MS Big Dinner Party event is a great way to get your friends and family together and show off your cooking skills, all while raising awareness and vital funds to find a cure for MS. The Velothon Sunshine Coast bike ride takes the best elements of a European style race and transplants this format in to the winterless Sunshine Coast. 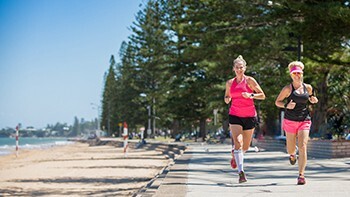 Come and see why thousands of fans return each year for Queensland's most scenic fun run: the Jetty 2Jetty at Woody Point in Redcliffe. 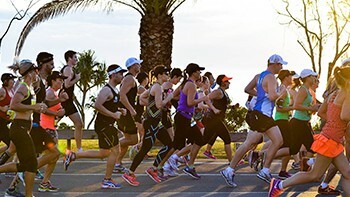 Run with Team Cure MS in a setting that sees the sunrise over Magnetic Island and the coral sea, and sunset behind the iconic granite of Castle hill. 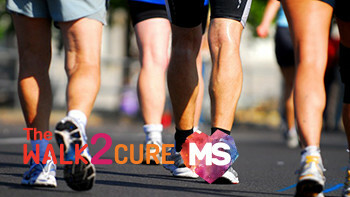 Join Team Cure MS for one of Australia’s favourite running events and challenge yourself to the 2km, 5km, 10km, 21.1km or 42.2km while enjoying the fast and scenic course. 3 bridges, 2 courses, 1 fun day. 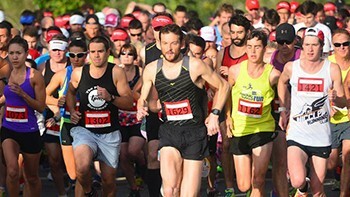 Enjoy running and walking along Brisbane’s best fun run course at The Sunday Mail Bridge to Brisbane Day on Sunday, August 28. 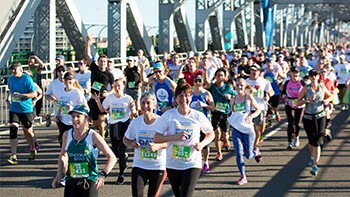 As Queensland’s largest fun run, Bridge to Brisbane Day attracts over 30,000 participants and is a fun day out for the whole family. It's back! The Logan Walk2Cure MS celebrates its second year, offering a scenic 3km or 6km (loop) course, live music and entertainment, all while raising funds for research and making a difference for people living with MS.